Becket, formerly the Becket Fund for Religious Liberty is a non-profit, public-interest legal and educational institute which states its mission as to "protect the free expression of all faiths." The Washington D.C. based organization was founded in 1994 by Kevin Hasson. Becket has been called "one of the most successful litigators seeking to curtail LGBTQ rights and abortion access." 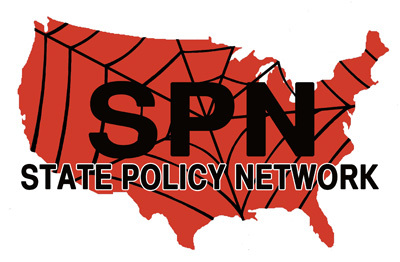 Becket is an associate member of the State Policy Network (SPN), a web of state pressure groups and "Think Tanks" that drive a right-wing agenda in statehouses nationwide. Since 2018, in Sharonell Fulton, et al. v. City of Philadelphia Becket has represented the plaintiff, Catholic Social Services, in a case about adoptions. Becket argues that "the City then abruptly barred Catholic Social Services ... from placing any children ... simply because the City disagrees with Catholic Social Services’ longstanding beliefs about marriage." Those on the side of the defendant argues that Catholic Social Services' actions are discriminatory against LGBTQ people, not allowing them to adopt children using their services. City officials cut some ties with Catholic Social Services upon hearing of these practices, prompting a suit on the grounds of religious discrimination. Donald Trump appointed Roger Severino to head the department’s Office of Civil Rights, in 2018. Severino was previously chief operations officer and legal counsel for Becket. The Bradley Foundation has contributed $1,435,000 to Becket since 1998, mostly for general operations. Koch Family Foundations gave $6,644 and $20,538 in 2012. Atlas Network gave $9,000 in 2015. ↑ 5.00 5.01 5.02 5.03 5.04 5.05 5.06 5.07 5.08 5.09 5.10 5.11 5.12 5.13 5.14 Nonprofit Explorer, 990s ProPublica accessed June 2018. This page was last edited on 25 March 2019, at 20:47.